For several decades, human rights activists have relied on the Alien Tort Statute (ATS) as their vehicle of choice for suing multinational corporations for alleged overseas human rights violations. The Supreme Court’s April 2013 Kiobel decision called into question the viability of many such suits. Several weeks ago, the U.S. Court of Appeals for the District of Columbia Circuit became the latest federal court to respond to Kiobel by retracting a prior, expansive interpretation of ATS jurisdiction. That suit provides a good case study, however, of just how hard it will be, despite Kiobel, for corporate defendants to make these cases go away. Although human rights activists may no longer be able to rely on the ATS, some federal courts are permitting these suits to go forward based on common law claims. In 2011, the D.C. Circuit had rejected claims by Exxon that the ATS—which grants federal courts jurisdiction to hear tort claims alleging violations of “the law of nations” —does not apply extraterritorially. Doe v. Exxon Mobil Corp. It reversed the district court’s dismissal of ATS claims that Exxon aided and abetted human rights violations by Indonesian soldiers assigned to guard Exxon facilities during a civil war in that nation’s Aceh region. The case was arguably distinguishable from Kiobel, which barred extraterritorial application of the ATS, because the U.S. connections to the case were greater: Exxon is headquartered in the U.S., while the defendant in Kiobel was a foreign corporation. The D.C. Circuit nonetheless last month vacated its 2011 ATS decision in light of Kiobel and remanded the case to the district court. However, the appeals court stood by its prior decision that the case could go forward based on the plaintiffs’ common-law claims for wrongful death, assault and battery, and negligent supervision. 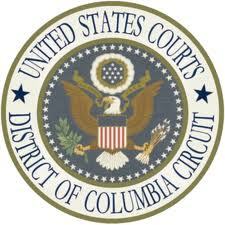 Applying District of Columbia choice-of-law rules, the D.C. Circuit determined that those claims should be decided on the basis of Indonesian substantive law. It expressly rejected a number of procedural defenses raised by Exxon, including that the plaintiffs (citizens of Indonesia) lacked prudential standing to sue Exxon; that international comity required deference to an Indonesian forum; and that the complaint should be dismissed in deference to the foreign policy views of the Executive Branch. The court has now authorized the plaintiffs to litigate under the common law the very same factual allegations that Kiobel apparently had barred them from litigating under the ATS. So, despite its apparent victory on the ATS issues, Exxon, along with the entire multi-national corporate community, may yet face scrutiny of their overseas conduct by American juries. On remand Exxon can be expected to raise additional grounds for dismissing the common law claims, including that federal foreign policy interests require that the case be decided solely under federal law and thus that efforts to decide the case based on any other law (e.g., District of Columbia law or Indonesian law) are preempted. One defense that is often raised in cases involving overseas activities but that is unlikely to be of much help to Exxon or to other defendants in “human rights” cases is the forum non conveniens doctrine. Under that doctrine, even if a court has jurisdiction in a case and the venue is proper, the court may dismiss the case if another forum exists in which the case could be filed and which would be more convenient for the parties and witnesses. An obvious candidate to serve as an alternative forum in this case is an Indonesian court. But the district court previously ruled that Indonesia was not an “adequate” alternative forum for a case in which the plaintiffs contend that the government of Indonesia was guilty of war crimes. A similar roadblock exists in virtually all cases involving alleged human rights abuses. The government of the country in which the wrongdoing occurred generally is alleged to have been the chief culprit, and American courts are rarely satisfied that the court systems in those countries are sufficiently independent to give a fair hearing to the accusers. Perhaps the best hope for corporations seeking dismissal of post-Kiobel human rights cases is Section 403 of the Restatement (Third) of Foreign Relations Law of the United States. Section 403 provides that, even when the minimum prerequisites for the exercise of jurisdiction are otherwise met, a court should decline to exercise jurisdiction when doing so would be “unreasonable.” Among the relevant factors cited by Section 403 in determining unreasonableness: “the link of the activity to the territory of the regulating state.” Corporate defendants, even ones with a substantial U.S. presence, can persuasively argue that the link between the forum State and the wrongdoing alleged in a human rights suit is extremely weak, especially when the claims are filed by nonresident aliens alleging wrongdoing in their home countries. The trouble is that defendants will need to win that argument in all 50 States plus the District of Columbia if they want to keep suits alleging overseas human rights violations out of U.S. courts. If human rights activists are able to locate even a single state court willing to expand its common law to encompass overseas activities, corporations may find themselves litigating claims of this sort for many years to come.